Josh found his true calling in September 2012 when he discovered the Mars One project. 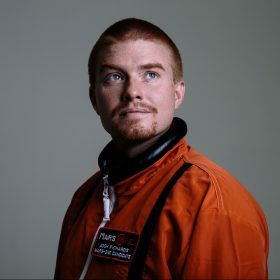 Selected from over 200,000 initial applicants, he’s currently one of 100 astronaut candidates short-listed for a one-way mission to colonize Mars. Now an in-demand professional speaker, Josh’s storytelling makes for compelling & entertaining corporate keynote presentations on leadership, small-team dynamics, and the challenges of life in space that are certain to leave any audience with plenty to think about. With a natural talent for explaining complicated science through comedy, Josh is a highly-visible ambassador for Science, Technology, Engineering, Arts and Math (STEAM) education. His public science communication events and school programs inspire people of all ages to engage with science, and in doing so, discover the sky is not the limit. With a potential launch date just 10 years away, Josh has been busy trying to complete his “101 Things To Do Before You Die” list. He regularly writes articles on space science, engineering, psychology and culture; but for the latest news, book drafts and personal insights into life on Earth before Mars head to Josh’s Patreon page.